Online Gambling is a rather new sensation in the world of global entertainment. It became possible to play casino games on the Internet when the very first few online casinos opened their “doors”. It was thanks to them that the idea of online gambling came to be more popular with the general public. Today, more and more people are joining the ranks of those who wish to gamble from the comfort of their own homes, however, there are many countries that have different laws regarding gambling. In this article, we will attempt to explain some of the prevalent laws, and how countries change their minds as this enormous force keeps rolling in. The highest percentage of adults engaged in any kind of gambling is in Australia and it surprisingly reaches more than 80%. Such a high rate was achieved due to supportive conditions created by Australian government for online gaming. Even though there’s been an Interactive Gambling Act implemented in 2001 that has legally forbidden operating and advertising of interactive gambling services to Australian citizens, online gambling is still flourishing at this continent. The reason for that is obvious – the Act has not placed any bans on placing bets online, so lots of international operators are free to serve Aussie players. This turned out to quite a successful outcome as Australian poker machines gather $3 billion yearly, and the Australian government is unlikely to place any sufficient restrictions in the nearest future. As our partner claims, the Australian Cabinet is now even likely to approve the Crown Sydney Resort construction which would be the second Sydney’s land-based casino resort. 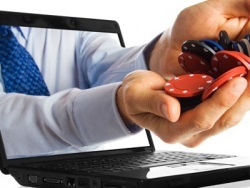 Europe seems to be more liberal towards online gambling than the U.S.A and Canada are. While it is forbidden by law in the U.S. to gamble online, and there are quite heavy restrictions on online gambling in Canada, Europe seems to be opening its mind more and more. Politicians seem to have noticed the benefits that could be reaped from the existence of online gambling and its legalization. While the Internet is a global place, and every site can be accessed from every country, they need to be hosted somewhere. It is these servers which host the different online casinos and gambling halls that fall under the jurisdiction of the countries. Casino owners have to comply with the laws, or face prosecution. If you often visit online casinos in Europe, chances are they are being hosted somewhere in the Mediterranean, Malta especially. It seems that Malta is the most liberal of all Mediterranean countries. The government has created laws that allow for the free gambling, with little to no restrictions. They have seen the great potential that hides behind the online casino and online gambling in general, and have started taxing the hosts. The taxation is not as steep, so not to suffocate the growing businesses and the potential cash cows; it is during this time that European based gambling has prospered greatly. Countries like Italy, Switzerland, and Germany are just a few examples of countries that are yet to make online gambling absolutely legal; there have been some compromises in the recent years. This is a huge step towards a better gambling future, however, there is still quite a long way to go. Perhaps an explanation for the hesitation of these larger countries is because they are yet uncertain of the affects it will have on society and the economy.